Thrive in the 'pressure cooker' of modern work. What if your resilience was something you could improve?? We all have the right to enjoy rather than just endure work. In the unpredictability of even the most challenging environments, the route to success and fulfilment at work is to build our resilience. And the good news is that it is possible to develop that aspect of who you are. This ground-breaking book provides a highly effective toolkit that will empower you to survive, thrive and flourish in dynamic and fast-changing contexts. Register your copy now to get access to worksheets as mentioned at the end of each chapter. Placing a bulk order for 25+ books? Click here. and much more, in a way that matches who you are. 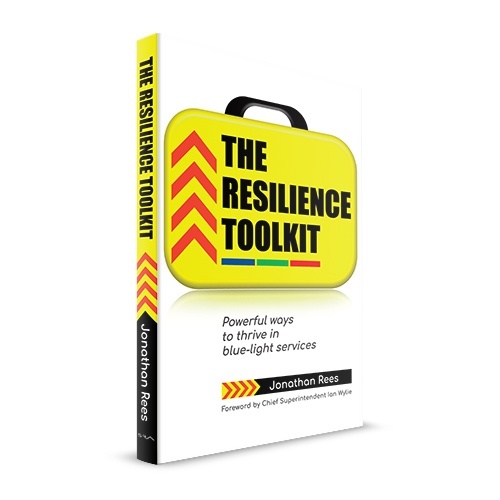 Who is 'The Resilience Toolkit' for? With the UK government acknowledging that there is an epidemic of well-being issues in the workplace, almost every organisation has some kind of well-being programme in place. Many of these offer wonderful ways of improving the situation. The way we are addressing these problems seems to be focussed on curing the symptoms rather than the cause. In the words of one of Jonathans' clients: "We need to be working upstream of the problem." Upstream means working on our resilience, which, fortunately, research shows to be possible. From the senior leader with an large breadth of responsibilities, to those leading operational teams as well as those on the front line, Jonathan Rees's clients have discovered that they have greater skills to build their resilience and improve their work-life blend than they believed possible - through using tools that most closely match who they are. The Resilience toolkit is exactly that, a set of tools that you can pick and choose from as you wish to build (or, indeed, rebuild) your resilience. It includes the Workplace Resilience Instrument - a simple questionnaire that evaluates 5 crucial aspects of resilience, and provides a map that you can use to uncover which of over 20 tools will be most useful to you personally, right now. So whether you are working in Police, Fire, Ambulance, the NHS, or Highways and other national agencies, there's something here for you. And there are a set of accompanying workshops. Have a look here. "This book represents the next stage of Jonathan’s work and provides any senior leader in the public sector with an opportunity to learn and refresh the practical skills that will help them in these challenging roles. Whether you are a senior leader in policing, the NHS or elsewhere in the public sector I would recommend that you read this book and adopt its principles. I promise that it will help you to survive and thrive in the pressure cooker." Chief Superintendent Ian Wylie, Vice-president of the Police Superintendents’ Association. Working with police officers across the UK and Ireland, what has struck me is that nearly everyone knows what they should be doing to improve their well-being. But they're not doing it. Which implies that there's too much friction. The challenge is that we take up careers in the emergency and caring professions because, we care deeply about others. Often a lot more than we care for ourselves, as it turns out. We all know the pre-flight instructions about oxygen masks. We just don't obey them outside the plane! The impact of not being resilient is costly to individuals, organisations, families and society as a whole. However high levels of resilience can positively impact all of these contexts. My hope is that through the toolkit, you will be able to identify specific steps you can take to strengthen your resilience and handle the daily stresses of life calmly and more effectively. 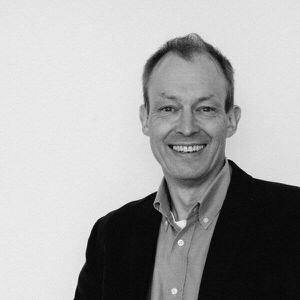 Jonathan has more than 20 years' experience in leadership and management positions in national and international companies. In 2017, after nearly eight years of facilitating workshops and coaching, Jonathan was invited to speak at the UK national conference of the Police Superintendents’ Association. He was given 1 hour to ‘provide something useful on resilience that delegates can take away and apply in their day job’, and since then, has travelled all over the UK and Ireland delivering workshops and keynote speeches to more than 600 police officers. His primary focus is now on working with people in blue-light services, enabling them to build more resilient lives for themselves, and those they work with – in the hope that it will enable them to have more resilient families, neighbourhoods and communities. Register your copy right now so that you can get access to all the worksheets for free. Click to register your book. If you've not got your copy yet, go and buy it on Amazon now!